Attempts to publish a blog post in February were hampered by a technical issue with a number of Bodleian blogs including ours. This was not resolved satisfactorily until last week, so we have decided to publish one post for the first two months of 2016. At some point before July (we don’t know when exactly yet) the skylights in the Library and the Library Office are going to be replaced with new ones. We will keep everyone informed as to when the work will take place when we know ourselves; for the moment please don’t be surprised by occasional visits from practical-looking people with tape measures. The skylights are in need of upgrading, especially the ones in the office which are rather draughty on windy days, so this should improve the general comfort of the whole area. The Oriental Institute Library’s LibraryThing account has been on hiatus since Dawn left us, but recent acquisitions will begin to appear on the sidebar on this blog again soon. In the meantime do check our New Books Display (just inside the library), which is kept up to date with choice items of interest. Meanwhile, readers with an interest in South Asian materials can check out the new Bodleian South Asia LibraryThing page, new additions to which can be seen on the South Asia Libguide page here: http://ox.libguides.com/southasia. Please note that new items on this feed are being added as they are catalogued and will require a short time to be ingested into the BSF before they can be ordered. Kate has been working her way steadily through the DS section since sometime last year, and is now reaching the end of the shelves around the corner from the reader PCs. She will be doing one of her periodic bookmoves when Term finishes as the Library of Congress DS section is getting very short of space and there is an urgent need to rearrange that side of the library to accommodate both the materials which are being reclassified (currently mostly about Central Asian history) and new books which are arriving and for which we cannot find space. As usual, the Library will be closed over the Easter long-weekend. We will be closed on Thursday 24th, Friday 25th, Saturday 26th and Monday 28th March, reopening on Tuesday 29th. Note the extra day on Thursday – this is due to the Faculty offices closing that day. Other Bodleian Libraries will be open on that day. Finally, we will be starting Vacation Loans next week (8th week) and books will be checked out until the Tuesday of 1st week – April 26th. Any books which you have already checked out for the usual two weeks should be renewed to take advantage of the longer loan period. This entry was posted in Building Works, Library of Congress Collection, Loans, News, OIL 2.0, Opening Hours, South Asian Collection, Vacations on 3 March 2016 by katieguest. Announcing… the Michaelmas Term competition at OIL! 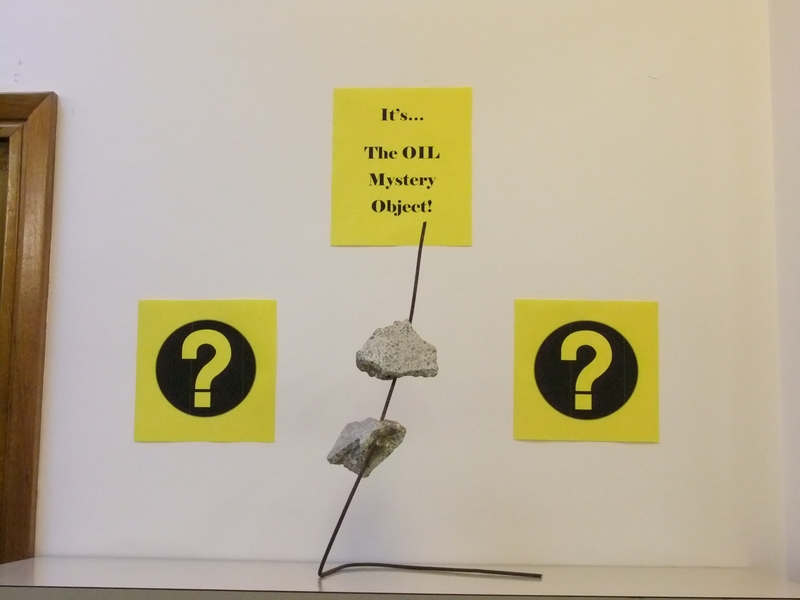 After the success last year of the “Mystery Object”, the decision has been taken to run another competition for readers at the Library during Michaelmas Term 2014. In the absence of any more obviously “mysterious” objects (the previous incumbent being a piece of reinforced concrete bent into an interesting shape after being rescued by a former member of staff during a refurbishment project), we have instead decided to link our new competition to a bit of library psychology, and equipment. The rules of the competition are simple: find a name for the stapler. Entries can be via the Facebook Page or at the Library Desk, where a suitable receptacle will be found for paper entries. Entrants must be a member of the University or hold a valid Library card. The top prize for this year’s competition is a £10 book token, generously donated by Dinah Manisty. There will also be a chocolate-related runner-up prize. Please refrain from any offensive or obscene suggestions; this is a bit of fun. Anything we deem inappropriate may be reported. The winner and a runner-up will be announced during 8th Week. This entry was posted in Fun, OIL 2.0, People on 21 October 2014 by . After a relaxing Christmas break, getting back to work is always a bit of a shock, but the first few working days of this year were worse than usual, especially for those members of OIL staff who rely on public transport to get around. With large parts of the South and West of Oxford under water, there were some creative rearrangements required, but we managed to keep things ticking over, and our opening hours were not affected. Fortunately, by the time Term started on the 21st, the rivers had receded again and things were getting back to normal. 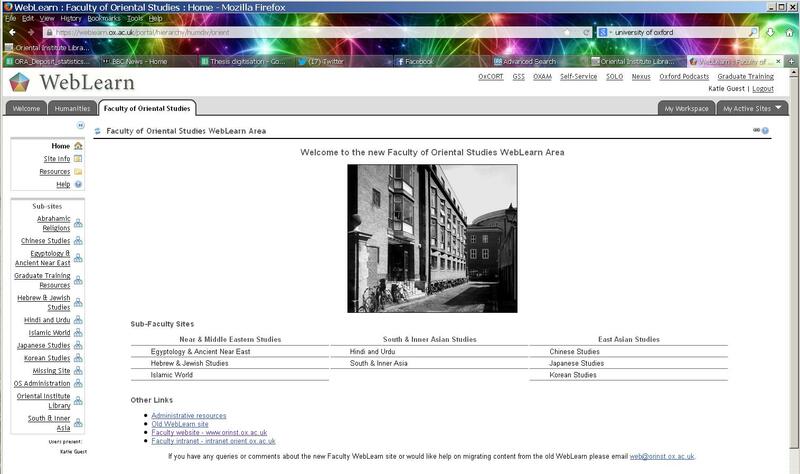 The newest development this month has been the addition of an OIL page on the Oriental Studies part of the University’s WebLearn platform, which will be used to allow access to scans of set-texts and supporting materials for the various courses offered by the Faculty. Do keep an eye out for new additions! Log-in using your Single Sign On (the same as SOLO) to see what we’ve got in there so far. Again, watch that space for new additions to our collections. Meanwhile we’ve been carrying on with our usual projects; Kate’s reclassification endeavour is rapidly reaching the end of the old BP section on the back wall (nearest the back of the Sackler Library), and she reclassified 210 items in January, representing a total of 157 shelf marks. That’s all our news for now; keep an eye on the Facebook page for updates of the usual day-to-day issues! 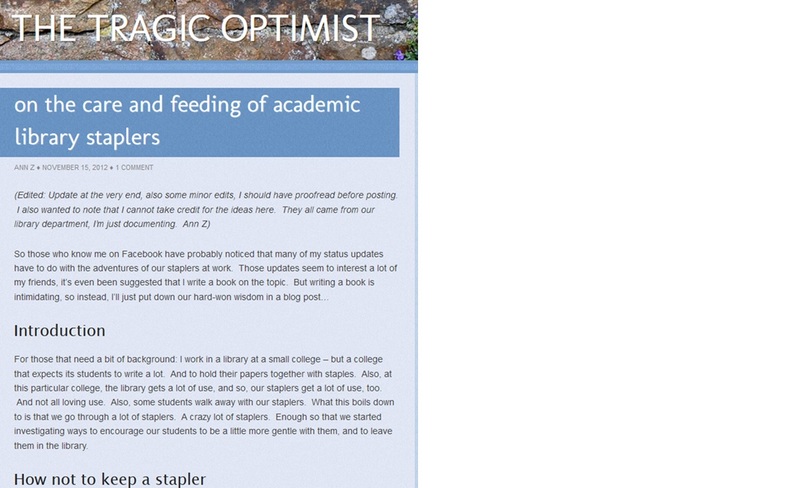 This entry was posted in News, OIL 2.0, Re-organising the Library on 4 February 2014 by . A new home for the OIL Blog! Just in time for Christmas, the OIL blog has moved to this new home, which brings us in line with other blogs by other Bodleian Libraries. We hope that our regular readers will notice almost no difference! This entry was posted in News, OIL 2.0 on 17 December 2013 by . October is usually one of our busiest months, made to seem even more so by the stark difference between the beginning of Term and the quiet of the previous few Vacation months. This year has been no different; Term proper started on the 14th of October, but before that was the excitement of Freshers’ Week, and the OIL Open Day. 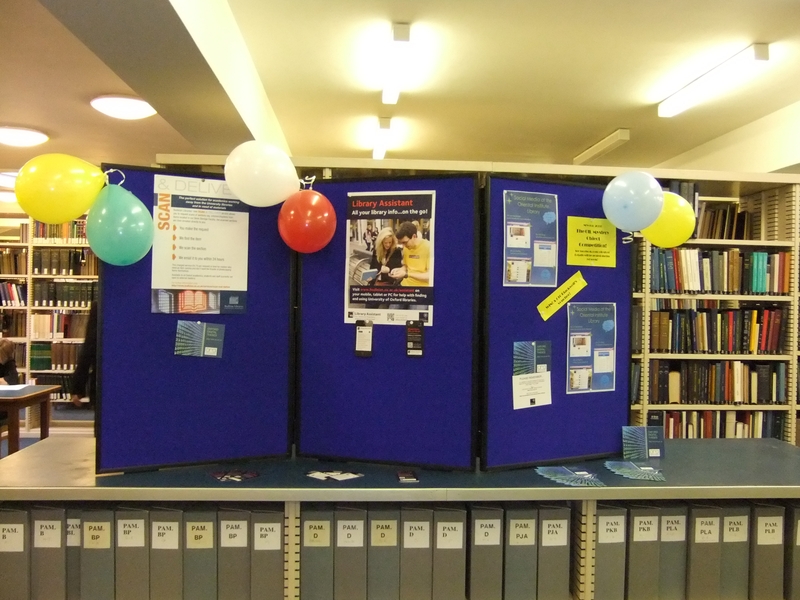 The Open Day was well-attended, but may have suffered somewhat from its placement at the end of a busy week in that not many people stayed on after the initial presentations took place. Members of the Library staff took turns in introducing themselves and giving a brief talk on various aspects of the Library; Dawn Vaux introduced the library itself, Dinah Manisty discussed electronic resources, Emma Mathieson the South Asian collections, Gillian Evison introduced herself as the Bodleian’s Head of the Oriental Section, Minh Chung gave a brief overview of the Window on Korea collection, and Kate Guest told the new readers about the Library’s Social Media presence, while other colleagues endeavoured to get as many new readers’ cards registered as possible. We also had a special appearance from Tim Kirtley, the Librarian at Wadham College, who talked briefly about that college’s Persian collection, which is open to any Oriental Institute readers who wish to use it upon application. There are forms at the OIL front desk for anyone wishing to apply to use this resource. After the talks there was some time for new users to get to grips with SOLO, PCAS and other scary library-related acronyms, as well as a presentation on the new Library Assistant resource in the office, and some lovely Middle Eastern sweets courtesy of Dinah. We hope that our new readers found the session useful and informative, and are, as ever, very happy to answer any questions that readers bring to us. For those of you who may have missed the original posts, there is now a way of paying library fines online via the University’s shopping pages http://www.oxforduniversitystores.co.uk/browse/product.asp?compid=1&modid=1&catid=2049. We hope that this will be popular with readers. On Wednesday 30th October, we had a visit from a Korean television crew who were reporting on the Window on Korea section in the basement, which is sponsored by the National Library of Korea, and is now one of the biggest Korean studies collections in the UK. Finally, and just because we can, another shameless plug for our Mystery Object Competition, which can be found on our Facebook Page. The object itself is near the office on top of the card index, if anyone wishes to have a look at it in the flesh (well, concrete) as it were. Keep those entries coming in! This entry was posted in Electronic Resources, Japan/Korea Collection, Loans, News, OIL 2.0, People on 1 November 2013 by . Wow, that went by quickly!! After the tranquillity of September, October always seems like a mad rush, but entirely in a good way, I can assure you! The return of established students and the arrival of the new intake of undergraduates and postgraduates is always an exciting time. 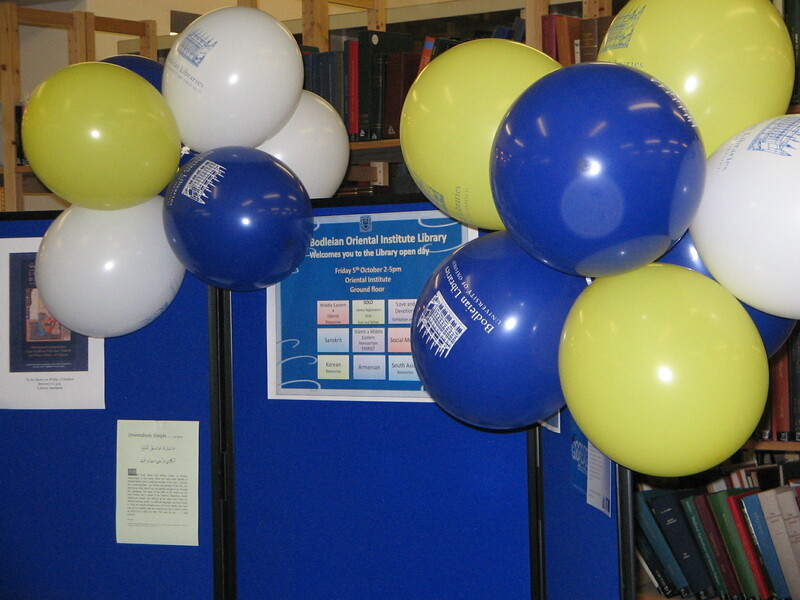 Our Library Open Day on 5th October was a great success, with many new and known faces visiting the library to take advantage of the free sweets and (hopefully) listen to the various subject specialists and yours truly talking about what the library has to offer in terms of support for the courses run by the faculty and also (me) encouraging people to get involved in the Social Media activities of the Library. We very much enjoyed meeting everyone and hope that the experience was helpful. It certainly has felt a bit less fraught here in the first manic weeks of term and we have wondered whether that was because people felt less nervous of us! I am pleased to report that the Facebook Page (http://www.facebook.com/oiloxford) now has 282 “likes”; not quite the 300 by the end of the first week that I had hoped for, but still pretty good! Elsewhere the work has now been completed on the Window on Korea multimedia room in the basement. We have yet to set up a formal booking procedure for the room, so for now it’s probably best just to ask in the Library if you need to use it, but we will let you know when we have something more official set up. The nice brass plaque has been attached to the wall, and we have moved some of the Korean Studies books to the KSL (Korean Studies Library) section, which is round the corner in the basement where the Middle East Library books used to be. A large consignment of new Korean books is on its way as well, as yet we do not have a definitive date for when these will arrive. 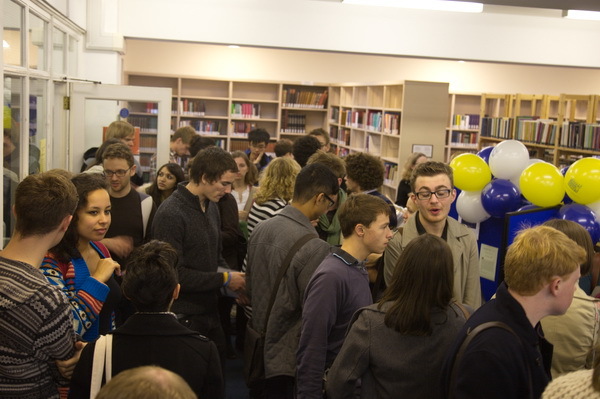 The photos are from our Open Day. 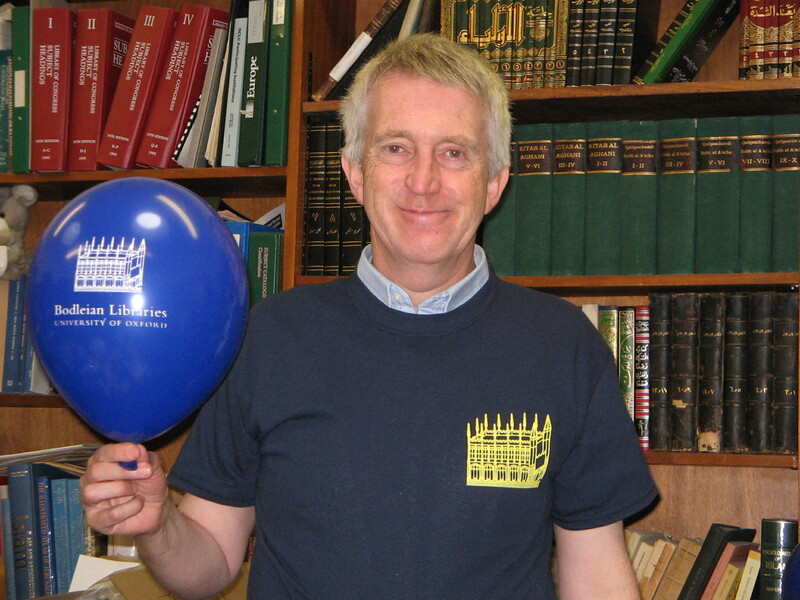 We all especially like this one of Jonathan modelling the t-shirt! This entry was posted in News, OIL 2.0, People, Services on 1 November 2012 by . As it’s the start of a new academic year, we’ve got lots of new students and students returning from years abroad in the library. One of the most frequently asked questions is how to do printing, photocopying and scanning. All of the Bodleian Libraries (i.e. most of the Oxford libraries that aren’t part of colleges) now use the same system, called PCAS, that was introduced a year ago. PCAS stands for Print, Copy and Scan – the one system covers all three actions. So yes, this means that you can now scan and print in the Oriental Institute Library, as well as just photocopying. You register for an account yourself online at https://bodleian.pcounterwebpay.com, making up your own username and password. Make sure it’s something that you’ll remember! Once you’ve created your account, you can do photocopying and scanning by simply going to any of the ‘photocopiers’ in any Bodleian Library and using your account username and password. You can also link your university card to your account using any photocopier – this means you don’t need to type in the username and password each time. 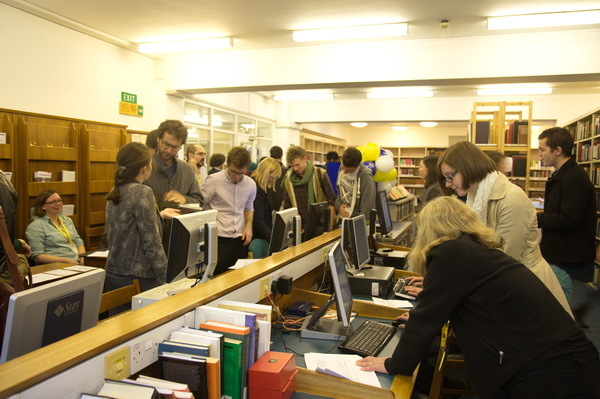 Any print jobs done at any library computer automatically go to PCAS, and you can also upload files to be printed from home using http://printeron.bodleian.ox.ac.uk. Once you’ve sent a print job to your PCAS account you will see the option to print it when you log in to any of our ‘photocopiers’, anywhere in the Bodleian Libraries. If you want more info on PCAS, head to http://ox.libguides.com/cat.php?cid=26115 where there are lots of step-by-step guides. Or just ask at any Bodleian Libraries desk, we’re here to help! This entry was posted in OIL 2.0, Re-organising the Library, Services on 14 October 2011 by . Remember, everyone, vacation loans are due back today! This entry was posted in Loans, OIL 2.0, Services, Vacations on 10 October 2011 by . Due to the computer system failing the day before it was due to be upgraded, the switch-over to our new catalogue system will last longer than expected – probably until this Friday, the 22nd July at 9am. Ordering books from stacks will not be possible until that date. This entry was posted in OIL 2.0, Re-organising the Library, Services on 18 July 2011 by . The Bodleian is currently switching online catalogues. This has lots of knock-on effects on things like ordering books from the Bodleian! This should last just over a week – from this evening (Thursday 7th July) to the morning of Monday 18th July. ETA: The process has been delayed, and the system will now be back online on Friday 22nd July at 9am. This entry was posted in OIL 2.0, Re-organising the Library, Services on 7 July 2011 by .